With Christmas just a few days away, we see alot of Christmas ornaments and decorations flooding the market and many Christmas Trees making their way in homes and stores. 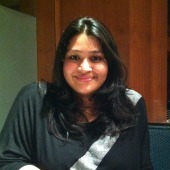 But one particular Christmas tree caught our attention and we had to share it with Ahmedabad. 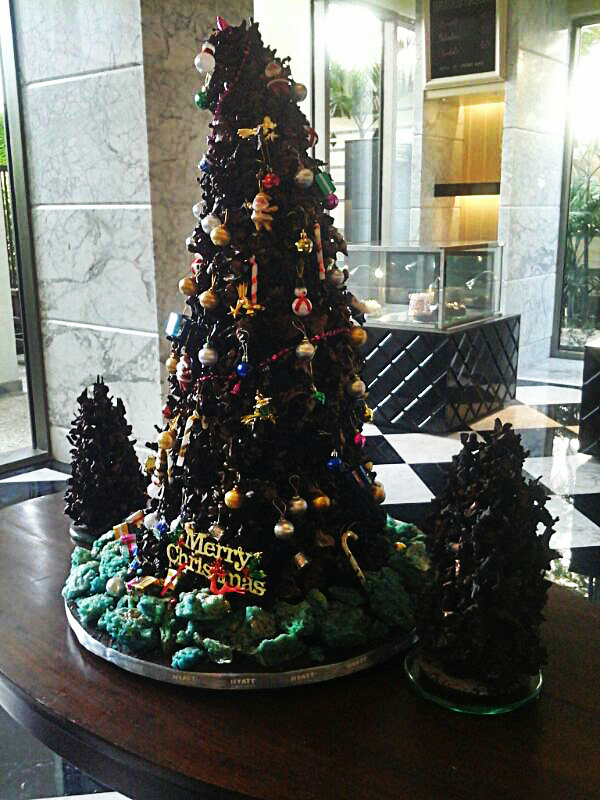 The Chefs at Hyatt Ahmedabad have created a Chocoate Christmas Tree this year. 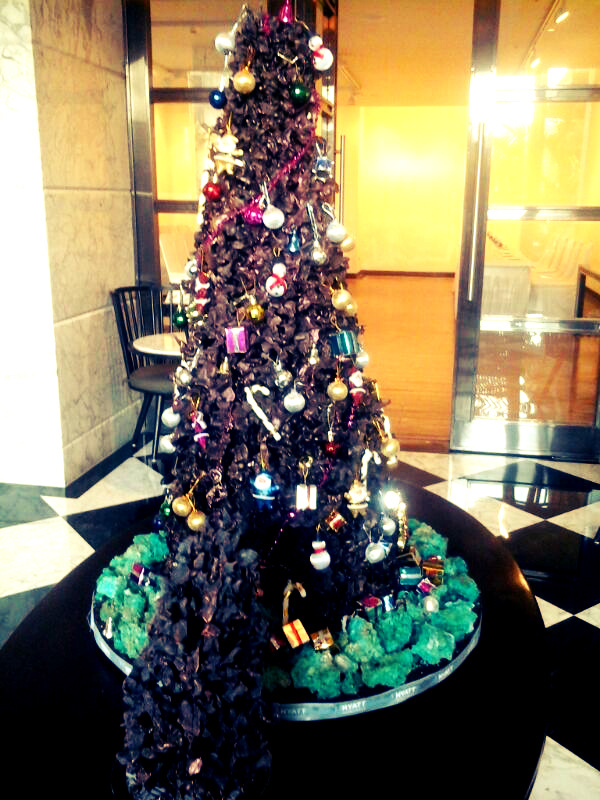 Yes, you read it right, they have indeed crafted a Christmas Tree out of chocolate. 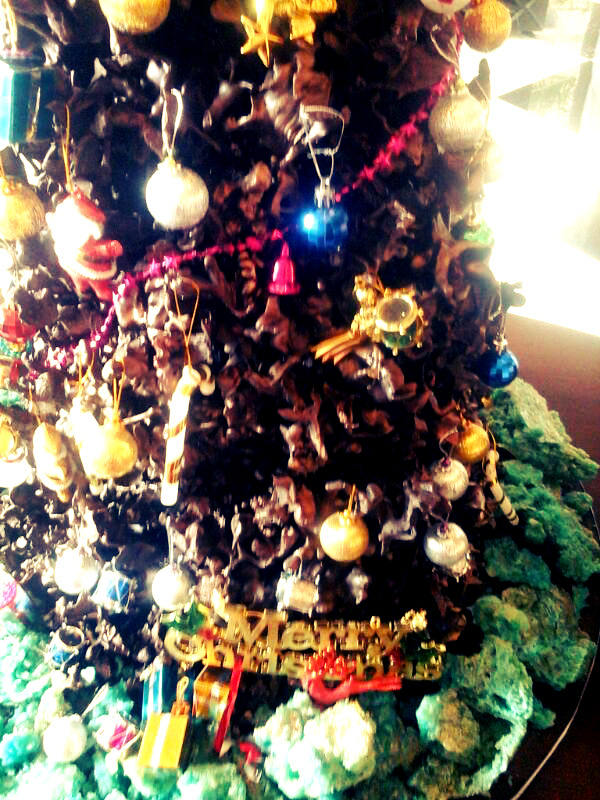 The Christmas tree is beautifully designed and has been decorated with delicate ornaments. 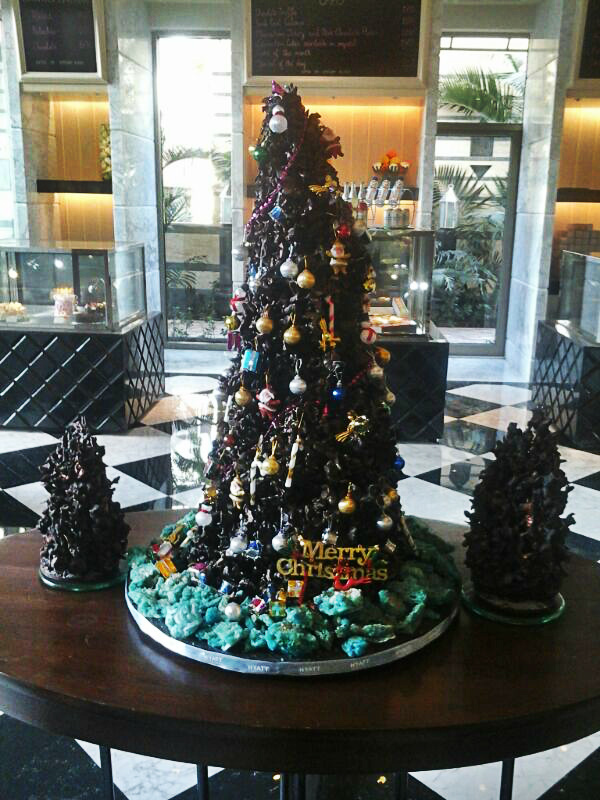 An enchanting sight for both young and old, this beautifully crafted tree is placed at Chocolart – the gourmet patisserie at Hyatt Ahmedabad. 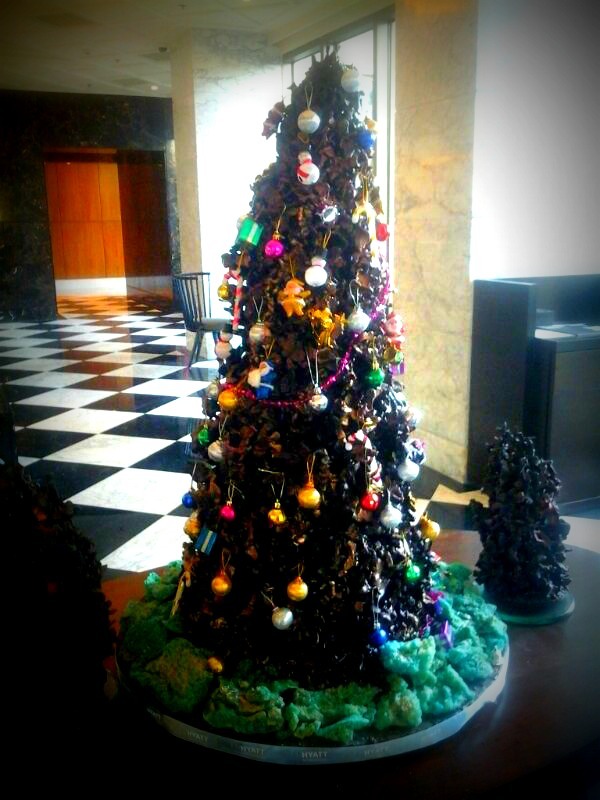 If you love desserts and chocolates, this Chocolate Tree is the Christmas miracle for you!